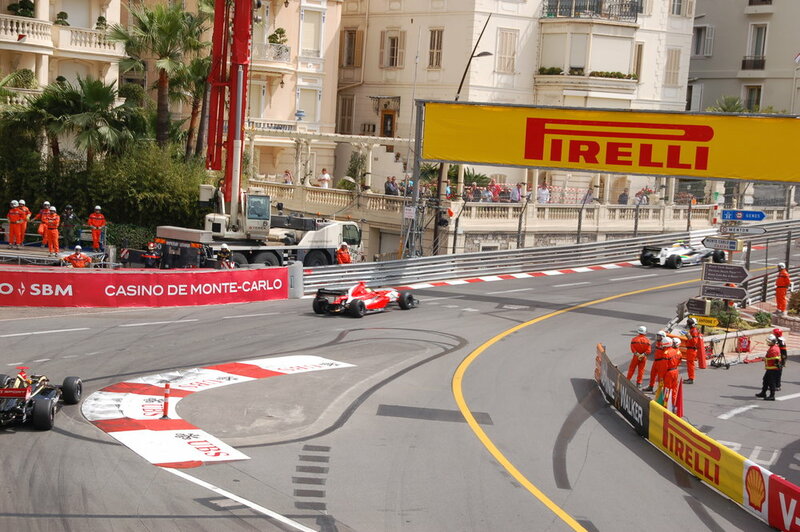 Looking for a different Monaco F1 Experience? This is the first time the location has been used for race viewing hospitality! Previously the site had grandstand seating. The Automobile Club de Monaco have granted us special permission to create a totally unique race hospitality experience. The space was designed for a high-end corporate client who is no longer attending the race. Tickets were due to sell at twice the price. Grab a bargain whilst the last few tickets are still available. THIS YEAR WE ARE EVEN CLOSER TO THE ACTION! We are GP Deluxe. We are petrolheads who understand events. Our sister company is Limited Edition Events a high profile events production company producing "A List" events around the world. We have a local office Cannes and work full time on the Riviera, so we really are local. A Stunning view closer to the action.... That's why we believe its the BEST deal in Monaco! Why? Simple... We put you in the heart of the action, every single guest who attends one of our events is always blown away with the view and just how close they get to the cars, it's truly unique. Yes, you could be on the upper floors of the Ermanno Palace and pay €4,000 a ticket, and yes you will see 70% of the track, but.... the cars look tiny (think Scalextric)! You are massively disconnected from the energy, the power, the crowd. We are on turn 1, historically the most accident prone corner in Monaco, or as one of our previous guests commented "we witnessed two almighty smack ups!". As true petrol heads the view and experience we offer is world class. We look forward to seeing you at the Monaco Grand Prix 2018 …. GP Deluxe can also arrange hotels, jets, helicopter transfers, and access to the top night spots in Monaco including, amongst others, the Amber Lounge, Buddha Bar, Beef Bar, Sass Cafe, Maya Bay and Zelo's. GP Deluxe concierge service can arrange tickets for all the major attractions whilst you are visiting the Monaco GP 2018. See links below for further details. Monaco GP Hotel Deluxe …. Monaco GP Party Deluxe …. Buddha Bar, Nobu, Amber Lounge, Sass Cafe, Zelo's, Beef Bar, Yachts.